The LG G5 is full of innovation, but it seems like LG spent too much time making modularity a reality. The device is a solid performer, but the iffy design and lack of modules make it seem like more time should have been given. Maybe the LG G6 will be hit, but the G5 isn't at that level yet. LG always steps outside of the box, that's why I'll continue to keep my eye on the South Korean company. When the first leaks of the LG G5 were detailed by none other than Evan Blass, it had many, including myself wondering what this “magic slot” would be for. LG has been one company that isn’t afraid to step out of the box, starting with having buttons on the back of the G2, having the first flagship device with a QHD display with the G3, or having flexible curved displays on the G Flex series. LG surprised everyone with coming out with the first major “modular” smartphone. The question is, is it actually useful or is it a gimmick? 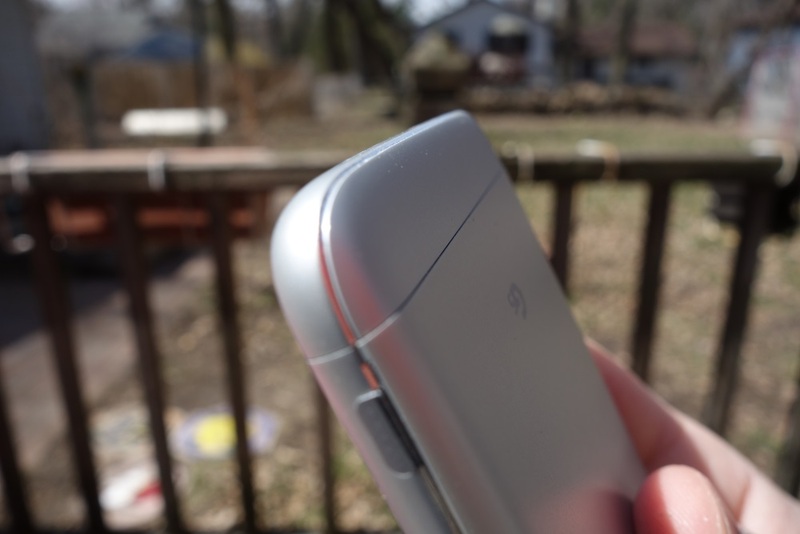 One of the major reasons for adding the modularity to the G5 was to keep the removable battery alive while implementing a more premium design. The previous LG devices, aside from the V10 were all made of plastic, which disappointed many. So has LG found the middle ground of having a premium device while keeping key features? Let’s take a look. As you have already probably seen, the LG G5 has quite the unique design. Not only does the device feature a magic slot where you can swap out LG Friends, it also features dual rear-facing cameras. It’s not that it looks bad, but it definitely stands out in the crowd. That’s LG though, and I respect them for that. They are willing to take extremes in their design to see how far the envelope can be pushed. Si nce the device is so unique we’ll start with the back of the device. At the top, you’ll notice a glass window that houses both the 8 and 16 megapixel cameras with an LED flash in the middle. Directly below that is the power button which has the fingerprint sensor embedded inside of it. It has a rattle to it which really bother me during my usage with the G5. It was nothing like the sturdiness of the past LG devices. You’ll notice the absence of the volume rockers above and below the power button, which was a move to make the back of the device less cluttered. It already looks pretty cluttered, so that was a good move by LG. 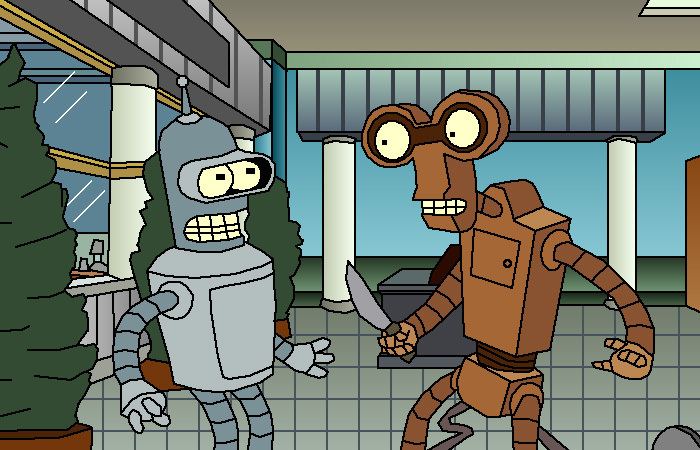 Every time I look at the back of the device I just see a combination of Bender and Roberto from Futurama. It’s not the worst looking, its just unique. As you can see in the picture above, there is a hump on both the power button as well as the cameras. That means the device doesn’t necessarily sit flat, but it doesn’t rock very much. Towards the bottom of the device, you’ll see the LG G5 logo and a very distinct line going across. That is due to the fact that the bottom releases. There is a definite ridge because of it and it isn’t as smooth as I’d hope. Moving from the back, the right side of the device houses the microSD card slot and nano-SIM slot. Nothing else is found on this side. As for the left side, you’ll find the volume rockers towards the top as well as the battery/module eject button on the bottom. The volume rockers follow suit with the power button and are quite rattle-y and don’t feel very premium. They are behind the Nexus 6P and far behind the Galaxy S7. As far as the module release button, it is more recessed right above the where the module connects. It is very mushy so you have to press hard to make sure it’s down. Releasing the module is a little tricky and you have to have a firm grip on the phone to pull out the module or else you might send half your device flying. The bottom of the device has a USB Type-C port which is very appreciated, as some companies still left them out in 2016. We’ll let you guess who that is. Aside from the charging port, there is a single speaker that is pretty loud, but does sound tin-ish. It’s not the worst, but it can get quite loud. I think it has to do with the fact that it is removable and LG couldn’t that large of a speaker in the bottom. 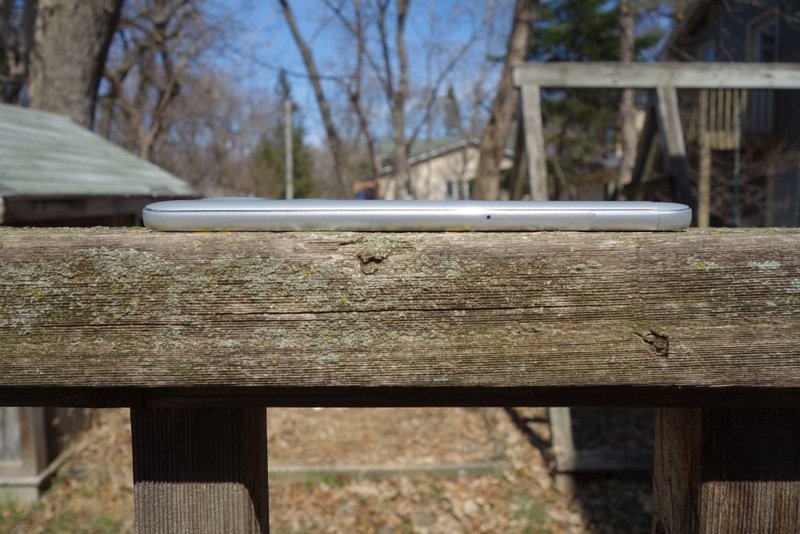 The top is home to the headphone jack and a that’s about it. On the front of the device, you get the standard LG logo at the bottom of the device, directly below the screen. This is nothing surprising as LG has done this for some time now. At the top you have the ear-piece surrounded by the LED notification light, proximity sensor, and front-facing camera. Overall, I don’t know how I feel about the build of the LG G5. On one hand the fact that LG was able to use an aluminum body, yet keep the battery removal feature is quite the feat. On the other hand, I don’t know why they made such a big deal about hiding the antenna bands. I haven’t minded them on any phone I’ve ever owned so the fact that there is a thick coating over the metal is disappointing. The display is one category that LG has been evolving. Just because they had the first QHD on a smartphone didn’t mean they had the best display. LG hasn’t transferred over to AMOLED panels, probably because they have a lot invested into their IPS LCD displays. The display on the LG G5 is definitely top of the line, building off the strong showing of the LG G4. The G5’s screen has shrunk a tad, meaning it gets a higher ppi count is it is only 5.3 inches versus 5.5 inches of the past. The idea was to make the device more usable in one hand, which I don’t disagree with. Since it has an LCD panel, it can very accurately match colors and doesn’t over saturate things. With AMOLED panels, dark grays tend to appear black, but that is not the case with LCD. 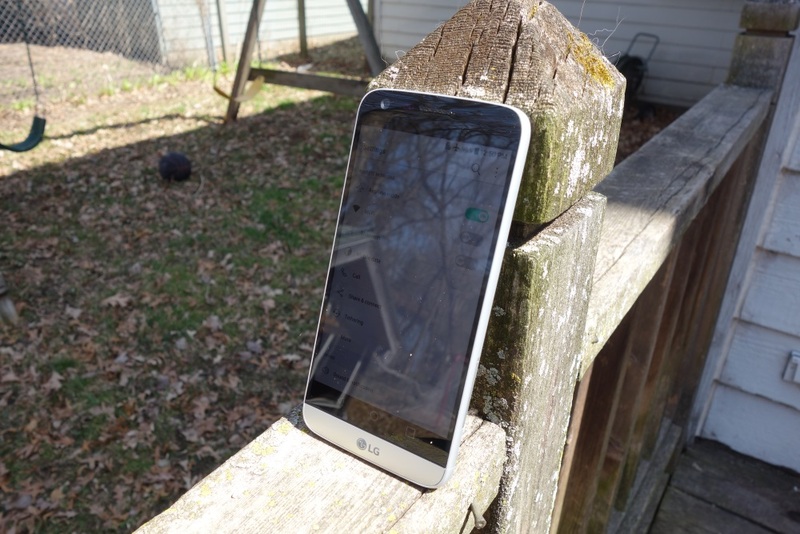 The G4’s screen was a major improvement over the G3, but the G5 is only an incremental upgrade. I think it has lesser brightness range, but does look slightly better. In broad daylight with the sun shining on the device, it was somewhat difficult to read, but odds are you’re never in the glaring sun all day. So I’ll give the LG G5 a break. It’s has a great panel, not quite up to Samsung yet. Last year, the LG G4 was restricted to the Snapdragon 808 because of the heat issues that plagued the Snapdragon 810, so performance suffered. While the S808 got the job done, it was behind the S810 and was disappointing as the flagships specs weren’t up to snuff. The device did handle amicable and you have to give it to LG for thinking twice before employing the 810. Fast forward a year and LG has returned to the flagship Qualcomm processor. That means the LG G5 features the quad-core Snapdragon 820 processor which is clocked at 2.2 GHz and backed by 4 GB of LPDDR4 RAM. Rounding that out is 32 GB of ROM and the ability to expand via microSD card. 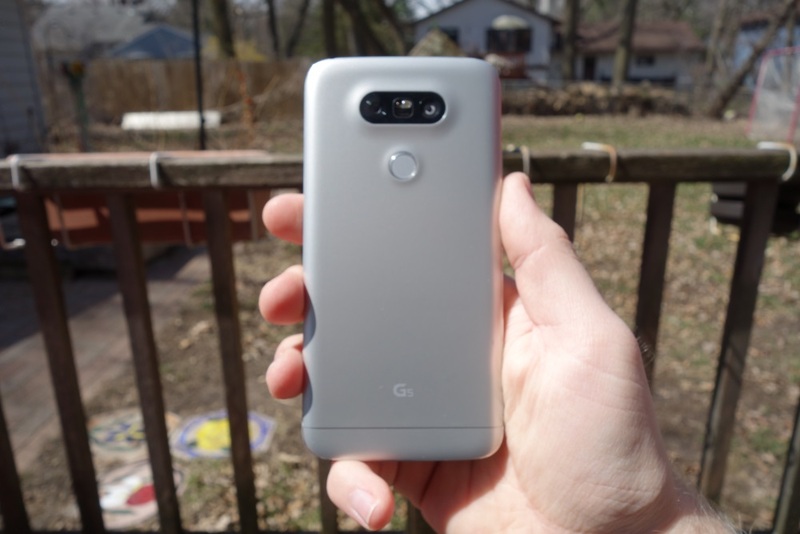 Overall performance on the G5 was that of a 2016 flagship. It was very similar if not better than my experiences with my Galaxy S7 edge. LG’s UX 5.0 is pretty light, so the device is able to power through anything thrown at it. I didn’t take screenshots of my AnTuTu score, but the G5 did equal the S7 edge with a score of 133K. When both devices have the same specs it really comes down to software. As far as software goes, LG UX 5.0 has gotten better, but it still a ways off of Google and the Material Design guidelines. Granted no OEM follows suit, but LG is still pretty far off. When I first fired up my G5, the first thing I did was look for the app drawer, but unfortunately they didn’t update that until later. I faced with either going drawer-less or download a launcher. I chose the latter. The one thing that LG’s software experience has going for it is that you can uninstall plenty of LG’s pre-installed apps. That is something that a lot of OEMs don’t let the user do. Another key feature is a close all button in the recent app menu, which is something only Google hasn’t implemented until lately. Even though it’s there, it takes a second for the apps to clear. The performance for the device is there, but to me the software experience is far behind. There is no theme-ing to the overall skin, so you are stuck with the bright white mixed with a lighter teal. There are plenty of rounded off squares for the buttons, but like I said, it’s not the worst I’ve seen. When LG first announced the G4, it took the smartphone world by storm. The device featured an ƒ/1.8 aperture with a 16 megapixel sensor which had great detail and was decent in low-light. They compared it to a DSLR, which created quite the stir. The camera was definitely one of the best ones of 2015, but nothing can compare to a DSLR. This year LG didn’t make as big of deal about the camera, but that doesn’t mean it isn’t an upgrade. 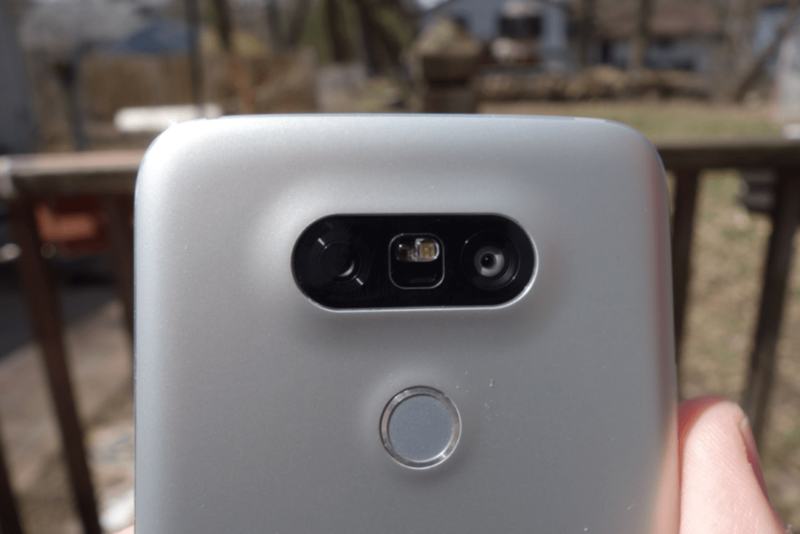 This time around the LG G5 features the same 16 megapixel camera with an ƒ/1.8 aperture, but it also has an 8 megapixel camera with an ƒ/2.4 aperture. Between the two cameras is LG’s laser autofocus and an LED flash. While the 16 megapixel camera didn’t change, adding 8 megapixel camera really changes things. The 8 megapixel camera on the G5 has a wide angle lens meaning you can get a much larger field of view. LG played it smart and you are able to employ both cameras at the same time and the software will stitch the two together, maintaining the quality of the larger sensor, but the field of view of the smaller one. The one thing I have noticed about using the wide-angle shooting mode is that the color looks more realistic. Using only the G5’s main camera, pictures come out a little artificial. It tries too hard to brighten up the image, but it doesn’t look to bad. It follows suit with the G4 having a great camera. LG took the same route whereas other manufacturers dropped down to a 12 megapixel camera. I am a fan of a larger camera sensor as the image has more quality and has a 16 x 9 ratio. It still rivals Samsung, but I don’t think it has it beat, just yet. LG doesn’t have as many resources as a large company like Samsung, but they show promise. If you would like to see the images at full resolution, you can do so by clicking here. One of the biggest features that comes with the LG G5 is that the battery is still removable. That is something that no other manufacturer has done with such a premium build, so it was quite the feat for LG. Although the G5 features a removal battery, it comes in at 2,800 mAh, which is slightly smaller than the 3,000 mAh battery found in the LG G4. Using the Snapdragon 820, Qualcomm’s most efficient processor yet, the loss of 200 mAh is not felt, although it would be appreciated. I never had an issue getting though the day. There was a few times where I felt like I could swap a battery, but I hadn’t received my extra battery just yet. Removing the battery is not as easy as it was in the past, I can tell you that. Once you remove the module, you are only halfway done. I had to look up online how to remove the battery from the dock as I was worried that I would break it. It just takes a firm grip and a little rocking back and forth and it comes out. That’s something that is not okay, as many people who aren’t power users might be afraid to break it, or will. The battery life is as expected in 2016, managing to match last year’s model with a smaller battery capacity. I had to problem getting 3-3.5 hours of screen on time, but 4 hours might be once in a blue moon. During my usage I never enable WiFi to get the most realistic statistics. The LG G5 has received quite the amount of criticism for bad build quality, but I don’t find it warranted. The design is one of a kind that won’t be found by any other smartphone manufacturer. Although it’s not as refined as I think it should be, it’s very refreshing to see one of the big three take a leap and try to radicalize design change. I think people forget that the LG G5 offers modularity something no one else does. There are definitely hiccups in the idea, like the way to eject the module and the sharp edges around where the module and device meet. Although the G5 isn’t perfect, it offers something you won’t find anywhere else. Is it an upgrade over last year’s G4? Probably not. Upgrade over the G3? Definitely. At the end of the day it comes down to what you are looking for in a smartphone. 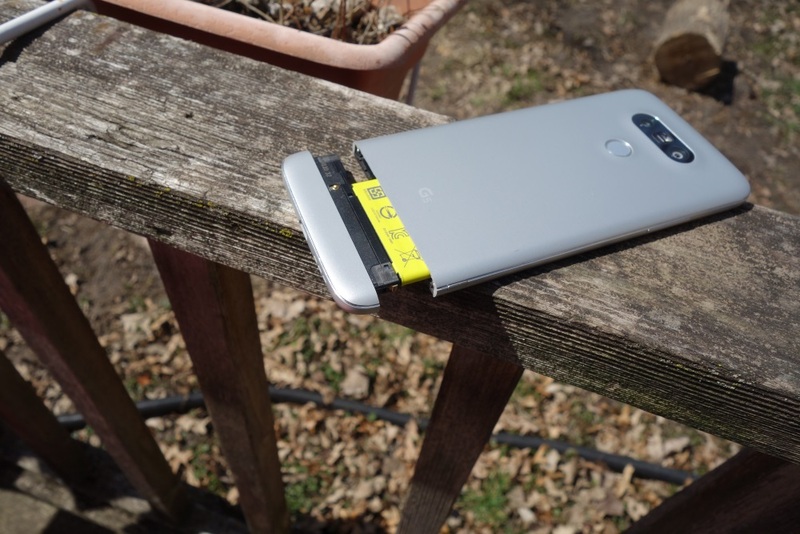 If you are one that needs to be able to remove your battery and swap a new one in, the LG G5 is the obvious winner. Honestly I think that offsets the smaller battery. Although I won’t be keeping the LG G5 as my daily driver, the prospect of what the LG G6 will bring, is intriguing.